The Kurento team and community have come a long way. It has been a worthy effort. The project started 5 years ago with the objective of creating a modular multi-purpose open source real-time media server. Thanks to the financial support of the European Commission and the inestimable effort of the brilliant developers from Naevatec and Universidad Rey Juan Carlos, we succeeded in that objective. Today Kurento is a mature technology used by thousands of developers and companies worldwide. However, Kurento is but the tip of the iceberg of possibility. I am convinced that Kurento can become a game changer: a worldwide reference technology making possible new types of use cases and business models beyond what we currently think of as human-to-human communications. However, this can only happen with the appropriate resources and within the appropriate context. Fortunately, we have found others sharing that same vision. It had to happen - the top WebRTC media server meets the top cloud communications company. Kurento and Twilio are joining forces. Twilio embraces Kurento and is working hard to bring the power of the Kurento platform to an even larger audience through Twilio’s cloud platform. Twilio and the Kurento team both believe in a future where any developer can solve a breadth of real-time media processing problems—like group communication, media analytics, augmented reality, computer vision, and more–through a powerful set of API-driven building blocks. To achieve this ambition, the Kurento core development team is integrating into Twilio. You may be wondering how this may be affecting you as a user of the Kurento stack. First and importantly, the Kurento project is not going away. It is not changing its license. It is not changing its core capabilities. Naevatec, Kurento's parent company, and Universidad Rey Juan Carlos, one of Kurento’s Open Source main contributors, will continue maintaining the Kurento project. They will remain responsible for managing contributions from the Kurento community. Twilio will work diligently to maintain and improve the project. This means stabilizing core Kurento functionality, maintaining compatibility with all major WebRTC-compatible browsers, and listening closely to the feedback from the Kurento community. Twilio is committed to ensuring the Kurento open source project is a stable foundation for media processing applications into the future. As always, great open source projects need strong communities. If you believe in Kurento, we encourage you to get involved. If you have more questions about Twilio's plans for Kurento, get in touch with Twilio at kurento@twilio.com. The elasticRTC platform -- the commercial elastic-scalable version of Kurento created by Naevatec and offered through the AWS Marketplace -- will be maintained for currently active users during the next year. 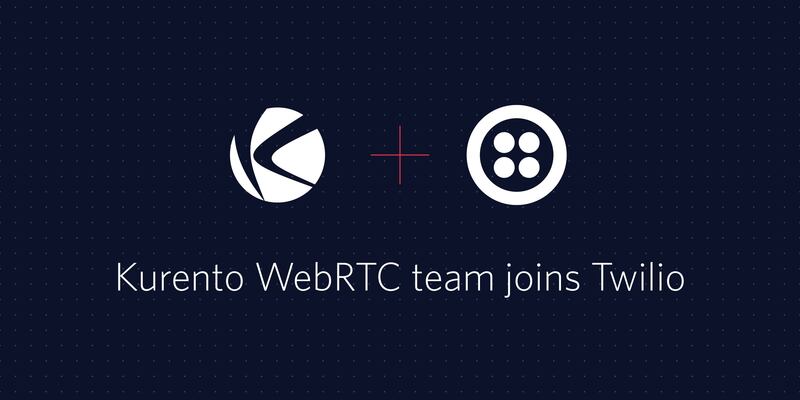 Twilio will provide support to elasticRTC current active users for that year, with the long-term goal of supporting all of elasticRTC's core features in the Twilio Programmable Video cloud. Effective immediately, elasticRTC will no longer be offered to new users. If you're building on elasticRTC, Twilio wants to work closely with you to make sure you can migrate your use cases to Twilio when the time is right. Please contact Twilio if you have any questions about migration or support at kurento@twilio.com. As the Kurento lead, I’m very excited with what is happening and I can hardly stop thinking about the amazing technologies and novel possibilities that we’ll be able to create together with Twilio. Keep an eye on this, you’ll be surprised. Luis Lopez, Kurento project lead.